There is a fundamental truth about test takers when it comes to the LSAT: everyone is different. That is, everyone who sits down with this exam will have unique strengths and weaknesses, likes and dislikes, and, ultimately, ways in which they can optimize their performance in every section. And while that certainly affects how it is that people prepare—where they should devote their time and effort when studying—I think it also dictates how test takers should behave during the actual test. In this three-part blog series, we will look at each of the three question/section types on the LSAT, and consider exactly how an informed test taker should attack each type. So what do these “truths” about Reading Comprehension, particularly the third point, necessitate in terms of strategy? Well, while perhaps less imperative than it was with Games, you should still consider the four passages individually and let your personal preferences guide you. Couple your knowledge that you will see several different topics, and even one unique passage type, presented in random order, with your understanding of what topics and type you tend to prefer, and then quickly scan the four passages and determine the order that is most preferable for YOU. Don’t just dive in to the first passage and start grinding through it, at least not until you have considered the set relative to your experiences. And that idea is particularly applicable if you are, like many students, only planning to attempt three of the four passages! If that’s the case then you need to make every effort to select the three passages that have the highest likelihood of rewarding you with the most points, and the preferences you’ve developed while practicing should serve to influence that decision. Further, the question count for each passage plays an even more important role here than it did for Logic Games, as Reading Comp requires a lot of upfront investment (the actual reading) before you can collect your points in the questions. So in deciding between passages, if there is no immediately compelling feature of either like topic or type preference, simply go with the passage that has more questions. Again, this is the “more bang for your buck” idea, and it’s an important an especially important one to keep in mind for Reading Comprehension. To repeat a point made in the last post, the advantages to this strategy of adaptive attack are multi-fold. Not only does it allow you to begin the section with what is likely to be a successful, rewarding experience, establishing confidence and momentum, but it also ensures, as much as is possible, that your time in the section is spent where it will confer the greatest benefit: on the passages where your odds of a strong performance are highest, and where the number of questions allows for the greatest return on your reading investment. Finally, we once again have a couple of ideas to consider as we wrap up this discussion. First, as always, maintain a high degree of self awareness as you move through individual passages. Some passages may seem representative of past experiences where you have been successful, but as you begin reading you will find that they are much more difficult than anticipated. If that’s the case the best decision may be to stop reading and move to a different passage, rather than potentially wasting time trying to decipher text that is more confusing than you expected. On a related note, some questions are likely to be more difficult, or more time-consuming, than others, and thus it may be wise to make an educated guess and move on. As wise test takers know, just because you have initially committed to something, be it passage or question, does not mean you absolutely must see it through—choosing to spend your time elsewhere can be an extremely prudent decision in a number of situations, and making prudent decisions is the key to reaching your full potential on the LSAT. In Part 3 of this series we will examine Logical Reasoning and the elements therein, and look at exactly how an adaptive approach to the these questions allows for the best possible experience on test day. Jon Denning is PowerScore's Vice President and oversees product creation and instructor training for all of the exam services PowerScore offers. 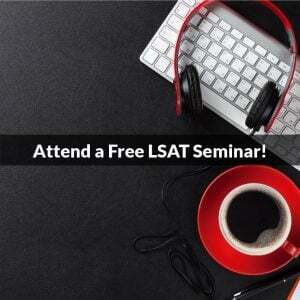 He is also a Senior Instructor with 99th percentile scores on the LSAT, GMAT, GRE, SAT, and ACT. 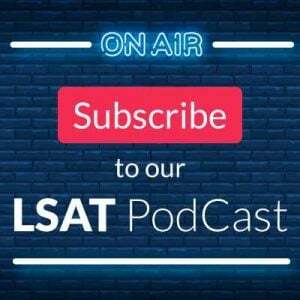 Jon is widely regarded as one of the nation's foremost authorities on LSAT preparation, and for the past decade has assisted thousands of students in the law school admissions process. 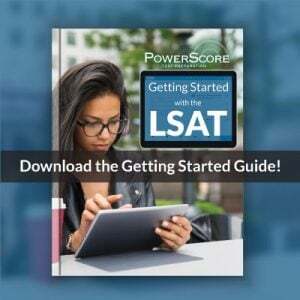 He has also created/co-created a number of PowerScore’s LSAT courses and publications, including the Reading Comprehension Bible, the In Person, Live Online, On Demand, and Accelerated LSAT Courses, the Advanced Logic Games Course, the Advanced Logical Reasoning Course, and a number of books in PowerScore’s popular LSAT Deconstructed Series.